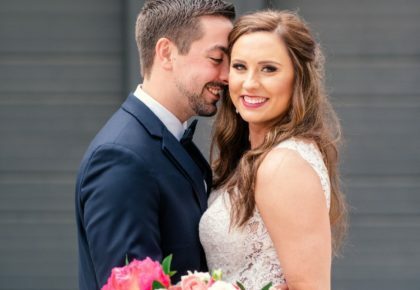 Heather and Andrew wed in a beautiful summer ceremony at Howell Family Farms. 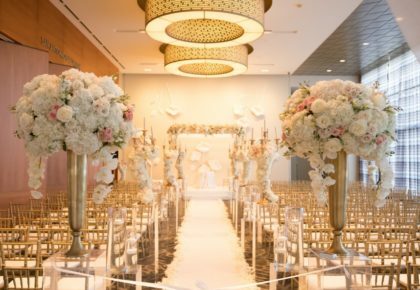 The vintage inspired look was carried throughout the simple yet stunning soiree with the help of planner Lavender Joy, and every gorgeous detail was perfectly photographed by Ryan Ray Photography. 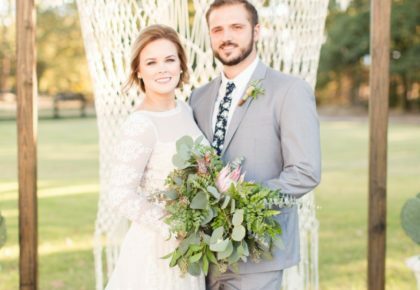 We love the dreamy florals from Bows + Arrows and the painter, Carolynn Seibert who captured the evening on canvas — a perfect keepsake for the couple! Be sure to check out the wedding highlight from Candlelight Films. It’s sure to make your heart melt! 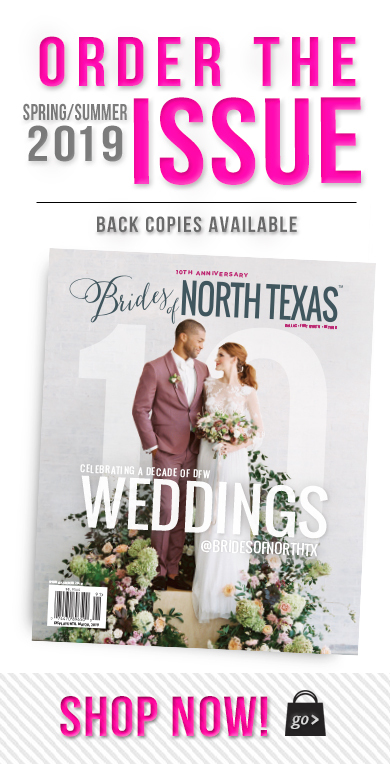 To see more of Heather and Andrews incredible wedding, grab a copy of the Fall/Winter 2013 issue when it hits newsstands in August!